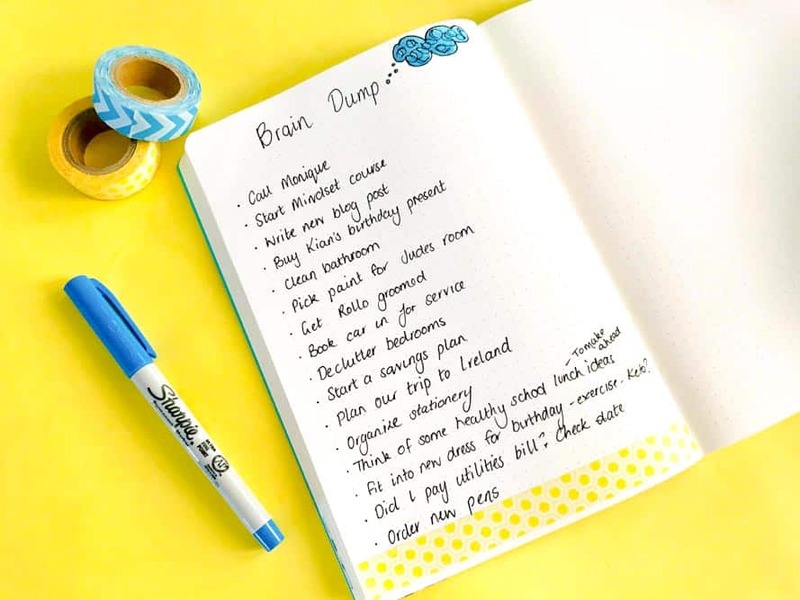 Learn how to do a brain dump in your bullet journal and declutter your mind to be more productive. Self-care is one of the most undervalued aspects of life, especially for women. We seem to feel guilty for taking some time to look after ourselves, even though we often spend so much time looking after others. Mental health as part of self-care often gets overlooked completely. I don’t know about you, but I often have so many thoughts running through my head at once that it can seem overwhelming and I can get panicked at everything I need to get done. Where do I start and how do I fit it all in! You may notice this more when you are trying to sleep or even when you are trying to concentrate on something. How many times have you had someone talk to you and then you realize you have no idea what they just said to you? This is where a brain dumps are a life saver. How To Do A Brain Dump? How Long Should I Brain Dump? 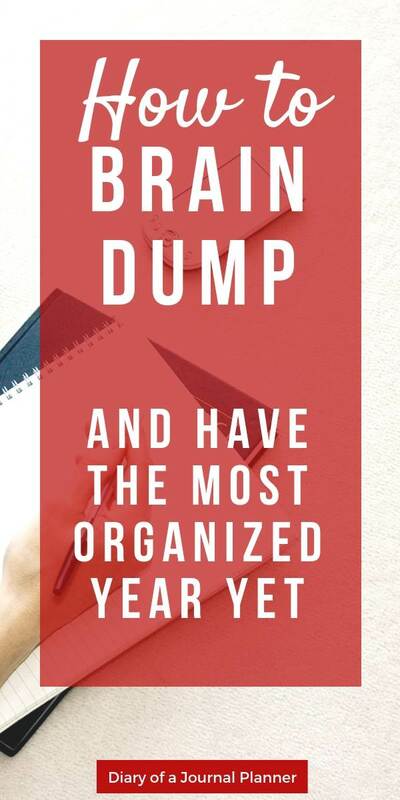 How often should you Brain Dump? 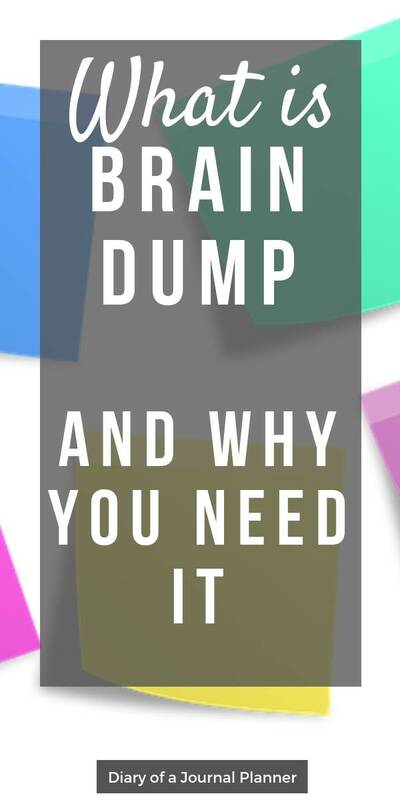 Why Should You Brain Dump? You might be wondering; what are brain dumps? 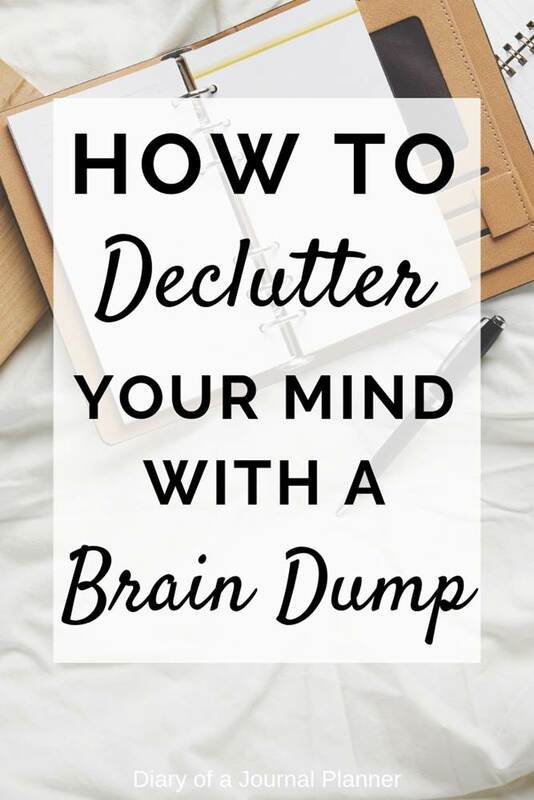 A brain dump is a simple technique to help you declutter your mind and thoughts. 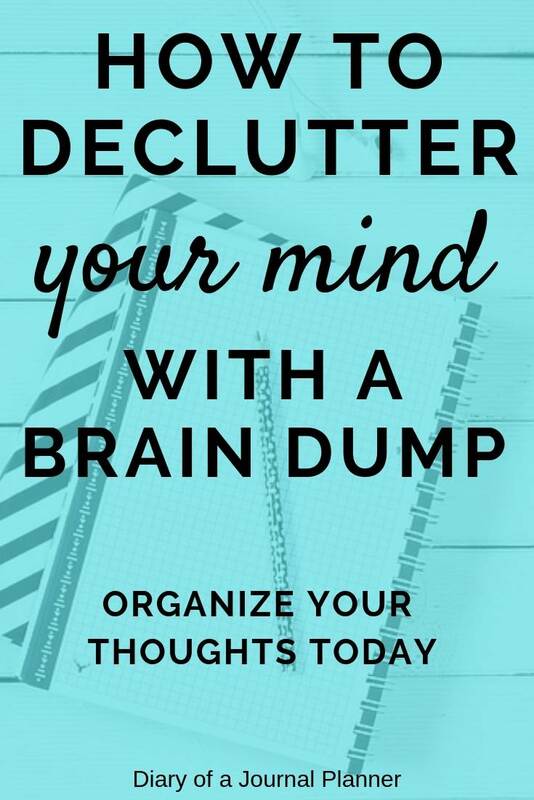 It is like the Konmari declutter list idea for your mind! It helps you gain focus on things that need doing. It also helps you organize your time and efforts. Meaning you usually are much more productive and calmer too. 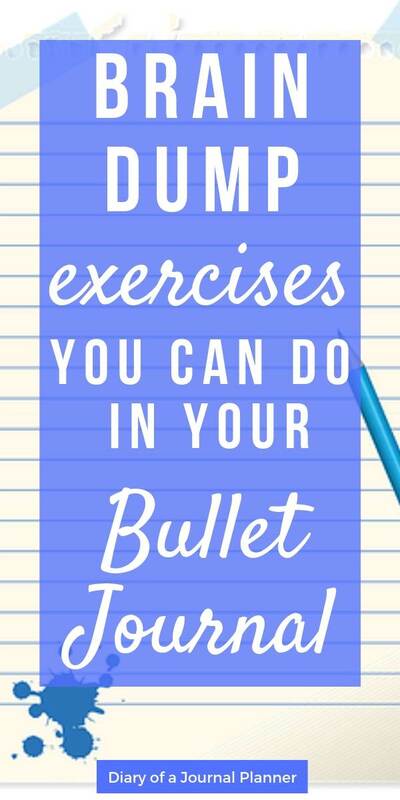 As all of us wise Bullet Journal lovers know, putting pen to paper is such a great way to get things done. The art of clearing your mind is no different. 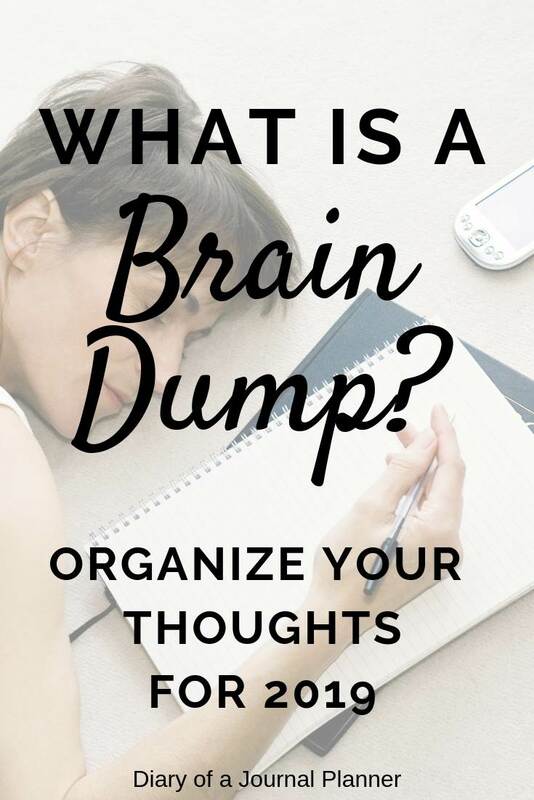 That is the brain dump meaning; to clear and organize your thoughts. All you need is a brain dump notebook or a piece of paper and some pens. I actually like to do mine inside my notebook using a brain dump journal spread. It is a simple one but helps me acknowledge the task I need to complete as well as being able to look back and see if there any patterns and habits. My Favourite Pen at the moment is my Sakura Pigma Micron Fineliner. Once you have your equipment ready. Just write! Write EVERY little thing in your mind and thoughts. If you are a creative person like myself, it might not make any sense at all! It doesn’t need to make sense and it doesn’t need to be neat or in any kind of order. Some days you may write lists and lists of things running through your mind. Other times you may end up doodling and only having a few notes. Remember to do what feels most natural to you. Some people are naturally more visual so maybe rough mind maps will work best, others will just have scrawls of random thoughts and tasks. 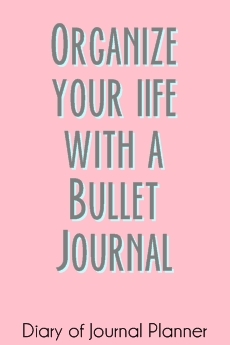 You may have read our post on doing the KonMari method with Bullet Journaling. Well, this is just like that but for your mind! You’re doing the first step which is ‘Discard First’. We will worry about the ‘Then Tidy’ later. Remember that everything needs to go on this list. Maybe there’s a bill you need to pay, a friend you need to call, or that HUGE (and ever-growing) pile of washing that needs putting away. What have you been worried about? What do you keep forgetting to do? What would make you really happy? Did something go wrong with your day/week? What really worked today/ this week? What tasks never seem to get done? Was there something you didn’t get time to do? Is there an upcoming event or special occasion? Are there maintenance tasks you keep meaning to do around the home, for the car or other areas? Is there someone you keep meaning to contact? Or an act of kindness you would love to do for someone special. Are there any big goals you keep putting off that would make a big difference to your life. Maybe you want to take up yoga, start a new fitness routine or lose a few pounds. Is there something you would love to learn? Maybe there’s part of your routine that really isn’t working? Is there part of your home that needs rearranging or redecorating? Do you need to plan a vacation, party or other exciting events? Is someone or something annoying you? You will know when you have done enough when you psychically feel lighter. You may even find yourself letting out a big breath. Some people do them daily or even weekly. My best advice is to do it whenever you are feeling overwhelmed, stressed or drowning in the lists and tasks running through your mind. You could also do one if you are feeling stuck with a problem or issue. You may find it hard to sleep. In which case I would suggest doing a quick brain dump before bed each evening. You will be surprised how quickly this relaxes you. I would also advise having a scheduled brain dump maybe once a week too. Just as mental health maintenance and as a way to start understanding your habits and gain more self-awareness. So, after you have emptied your mind, what to do next? Now is time to organize all those tasks and thoughts so that you don’t need to spend time thinking about them. Go through each item you have noted and start organizing. Some of this may be simple, like adding things to your daily to-do list or meal planning layout. Others you can add to your weekly spreads as doable tasks. Be sure to mark these off as you go through your brain dump. Try to organize your brain dump notes into your spreads and pages. Here are some ideas of where mine can usually be added so they become actionable steps I can tick off. Daily Logs – This could be as Errands, appointments or calls to make. Monthly Spreads – If the task is big you may need to break it down into smaller and less overwhelming actions steps. For example, you could be planning a trip to Disneyland or a surprise party for someone. Goals Spread– Maybe it’s been your dream to learn a martial art or flower arrangement. Check out our post to learn how to set goals and makes these dreams a reality. Sometimes things won’t immediately fit into your existing pages or spreads. This is the time to brainstorm and plan some new pages. Maybe you need a fitness tracker to work towards a health goal you keep putting off. Need some ideas? 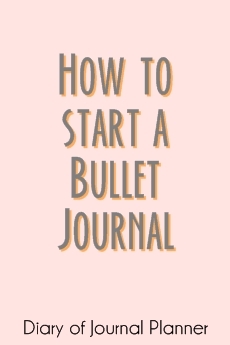 Check out our 100 ideas for Bullet Journal Pages. 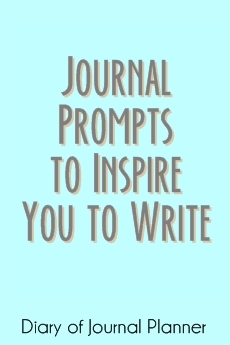 You may find that some of those don’t need to be entered into your journal at all. These could be things you need to let go of for your own happiness. I love to just forgive, or say sorry out aloud while I cross off a grievance, mistake or annoyance. Sometimes this is enough to free my mind of the issue. Other times it may come up in a brain dump a couple more times but eventually, I learn to stop it bothering me. The reason why I love Bullet Journals so much is that they REALLY work! 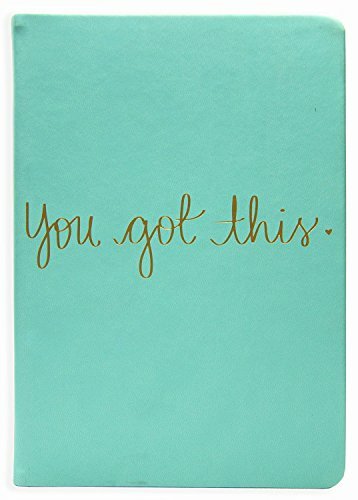 Just by simply writing down your thoughts or a to-do list you are helping to reduce stress and anxiety – because ti is a mindfulness exercise. And now that you have organized and planned all those tasks you will be much more productive too. As well as not forgetting any important tasks. Other benefits are that you free mental energy to put towards other things. 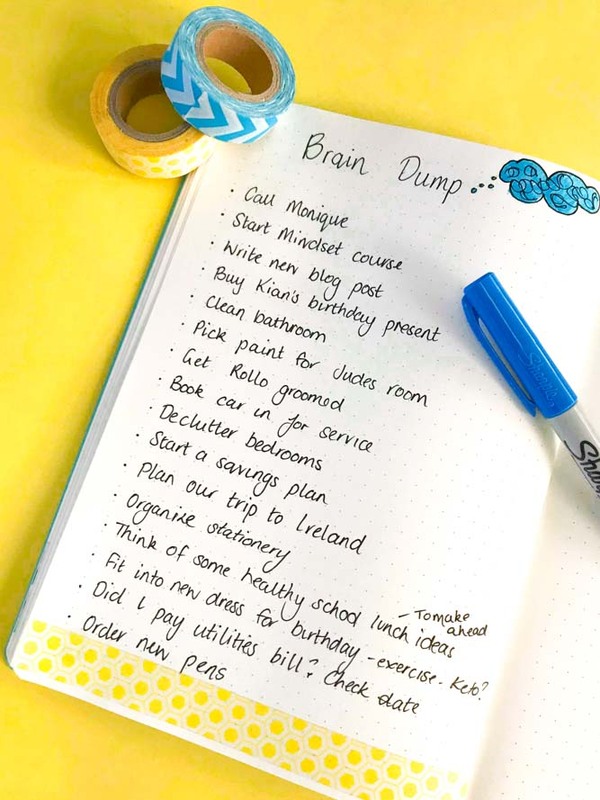 After you have organized your brain dump you will usually find that you have set plans in place and are more motivated to get those tasks done. Some people don’t like to use the word brain dump. Quite frankly, it doesn’t sound that good, does it? No matter what you call it, the exercise itself is worth coming up with another word or sentence. It only has to mean something to you, somewhere you can put down thoughts. A few ideas could be: Thought collection, thought spot, brain storm, brain declutter, mind map, mind spill, idea bank, random thoughts… You get the idea. There is no right or wrong way to do this. You don’t need a brain dump template or anything! Find out what works best for you and practice that. 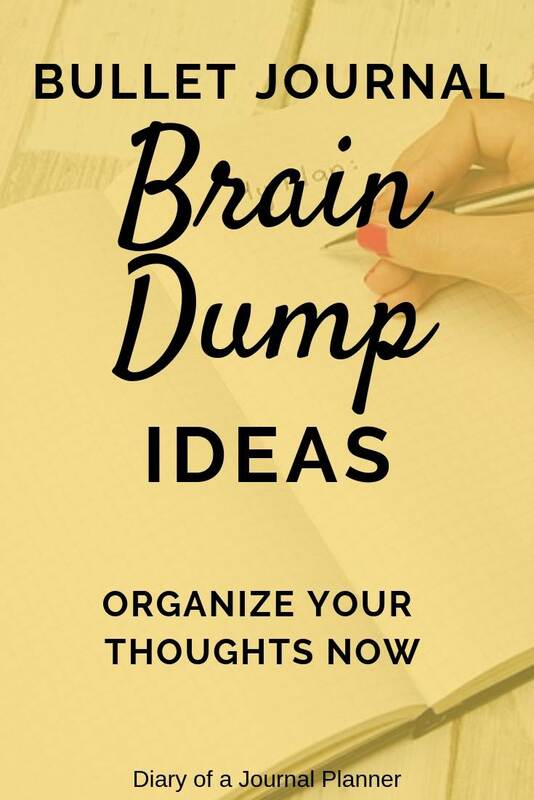 Make a conscious effort to do a Brain Dump at least once a week. I promise you will love it once you get into the habit. Write and let us know how you go with your brain dump. Did you learn something new about yourself? What benefits did you find from it?